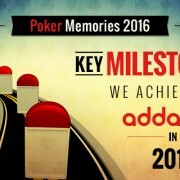 2016 has been a great time for Indian poker industry. We saw many milestones happen through the industry. 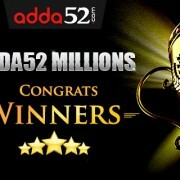 Back in January, Adda52 started DPT in association .. Promising the unlimited poker action and unbelievable giveaways upto Rs. 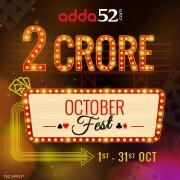 2 crore, the October Fest started with a big bang at adda52.com wherein 885 players .. The June 2016 edition of Adda52 Millions took place on June 26 which saw ‘sasikiranx’ emerging as a winner. 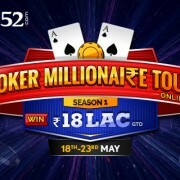 After the competent play, he took down ..
With an overwhelming response in all the previous editions of Poker Millionaire Tour (PMT), India’s largest online poker site is back with advanced version ..